Have you heard of the so-called Gundry Diet? 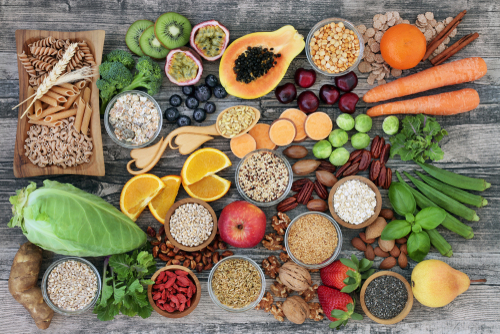 The diet comes to us from Dr. Steven Gundry, author of the New York Times best-seller The Plant Paradox: The Hidden Dangers in “Healthy” Foods That Cause Disease and Weight Gain. The book, published in 2017, aims to unteach us many things we thought we knew about nutrition. Perhaps, the book suggests, foods that we always thought were good for us, beans, whole grains, squash, nuts are actually not so great after all. But don’t go purging the pantry just yet. The fact is that the Dr. Gundry Diet is largely based on pseudoscience and it’s not regarded as a healthy diet option by most physicians. What is the Gundry Diet? The Gundry Diet was created by Plant Paradox author Steven Gundry, a cardiologist and heart surgeon who now sells supplements that claim to prevent disease and boost health. 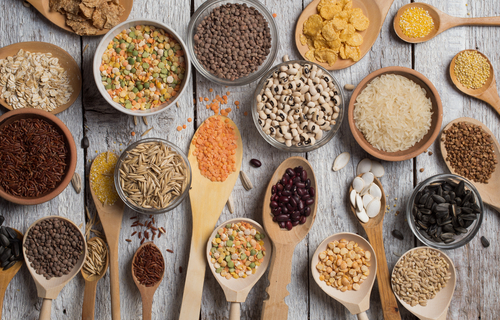 At its core, the Gundry Diet is a lectin-free diet, meaning it aims to lower, or totally eliminate, lectins from your meal plan. Gundry recommends replacing lectin-rich foods—including fruits and veggies—with high-fat foods, such as different kinds of oils and some high-fat nuts and seeds. 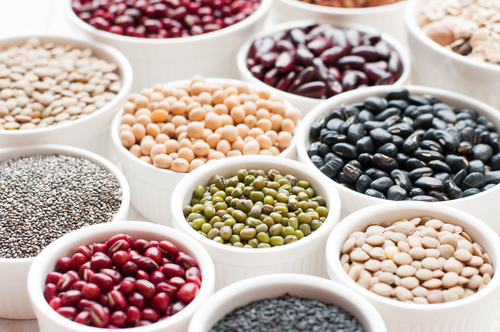 What are lectins and are they actually bad? Lectins are plant proteins which bind to carbohydrates. They are found in a wide range of foods, including wheat, seeds, beans, tomatoes, potatoes and peanuts. According to Gundry, lectins “ignite a chemical warfare” in the body, causing inflammation that leads to weight gain and chronic diseases. Gundry’s approach requires the total elimination of many foods that are actually excellent for our health. What’s more, many scientists, dietitians and doctors argue that lectins may bring more good than bad to the dinner table. It’s Not Rooted in Fact—If it surprised you to learn that many of the foods you consider healthy are off-limits, don’t panic just yet. Gundry’s book is extremely controversial, with critics pointing out several misrepresentations of data and gaps in information. Hallelujah Diet Research Director Dr. Michael Donaldson found several issues with Gundry’s research, uncovering that some of his claims are blatantly false and that the author cites studies that do not illustrate at all what he’s claiming. Critics point out that, in addition to misconstruing the results of certain research, Gundry points to anecdotes rather than cold, hard data to support his claims that lectins are the enemy of good health. It Presents Lectins as the Enemy—According to Gundry, the main cause of inflammation and inability to lose weight is lectins in our diet. If we stop eating lectins, we’ll lose weight, guard ourselves from disease and feel all-around better, Gundry claims. The thing is, some lectins are perfectly harmless and may even be beneficial to our health, with some studies suggesting that they are antimicrobial and provide support to the immune system. The hysteria surrounding lectins comes from the fact that some lectins are toxic, but those are rarely found in food, and that a small number of people have lectin intolerance. Notably, eliminating many foods with lectins can actually lead to a deficiency in crucial nutrients, say the experts. It’s Not Healthy, Plain and Simple—The fact of the matter is that a lectin-free diet goes against everything we know for certain about nutrition. A former president of the American Heart Association told Live Science that Gundry’s diet contradicts recommendations from the American Cancer Society, the American Heart Association, the American Diabetes Association and others. Dr. T. Colin Campbell of the Center for Nutrition Studies points out that the author falsely claims his work has been peer-reviewed (in reality, it has not been peer-reviewed to the standards of the reputable scientific research community). Thus, it’s best to avoid the diet altogether unless more legitimate, convincing research emerges. So, if Gundry’s hypothesis is wrong—or at least grossly exaggerated—what’s the better alternative? At Hallelujah Diet, we believe approaching good health is much less complicated. 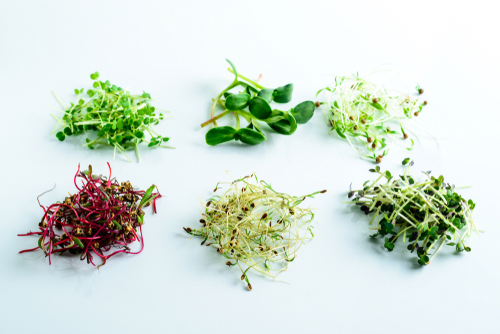 It’s all about eating plenty of fresh vegetables and leafy greens, even if they do contain lectins, because these foods are scientifically proven to provide us with nutritional benefits. Following the Hallelujah Diet is a much safer way to ensure that you get all of your core nutrients—no fads, false claims or exaggerations. Wow..this was awsome blog to read. Great information about what are lectins. I had never heard of the Gundry Diet? Amazing at what they saying about all these different items that we thought was good for us. I have to agree in following the HD diet is better. Thank you for a clear update. Everyone needs to know about this. Thank you. I have tried Gundry diet and supplements but came back to the Hallelujah “Lifestyle”. I believe in the Hallelujah lifestyle and there is no excuse for wandering off but ….. I plan to stay with what I know works for me. Thank you so much for clarifying this…my Chirop is really pushing this.. can’t believe what God created is bad for us!!! I think we have to temper what Dr Gundry writes about with where he practices. 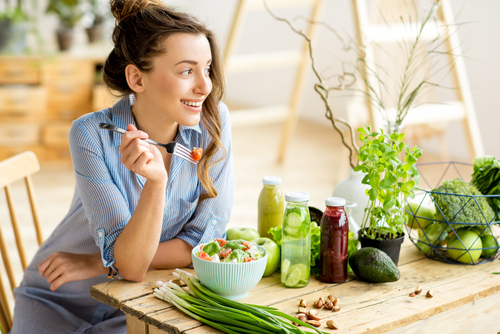 The west coast has embraced healthy eating concepts for way longer than we in the east have, Could it be that many who have practiced that lifestyle are now feeling the effects of too much of a good thing? This is what I believe happened to me. In ’94 I developed breast cancer. In ’97 I had ovarian cancer. At that point in time I embraced the Hallelujah diet. I drank Barley Max twice a day along with lots of beans, nuts and greens. All seemed to be going well until 2006 when my body started telling me I didn’t need two green drinks per day. I cut back to only once. Then about three years ago, I started having very bad inflammation issues. I had allergy testing and found I was allergic to nightshade vegetables, wheat, eggs and soy. I cleaned house of these products and started taking antigens while I cut these products out of my diet. Even after many months away from them I could not tolerate a slice of tomato or regular whole grain bread without having inflammation issues. Taking antigens is expensive, and I struggled to find a way of abstaining from all these products while still not eating meat and dairy. Then I read Dr Gundry’s book, The Plant Paradox. He pointed out what foods were the biggest offenders. They were what I was eating! His book made perfect sense to me. One evening I thought I would make soup from a bean soup mix I purchased. Unfortunately I did not read the label before buying it. It was made with a wheat product and to make matters worse, I added a can of beans to it to give it more body. It was very good, but an hour later I could hardly walk from the arthritis that ran from hip to hip. I knew it had to be the soup. Sure enough, the label showed the wheat content, but now I was also reacting to the beans. Long story short, I have issues with pulses, beans, most nuts and seeds. I can no longer take my Barlean’s flaxseed oil. I noticed it immediately when I ran out and couldn’t couldn’t get to Whole Foods for a few days. I was feeling better! 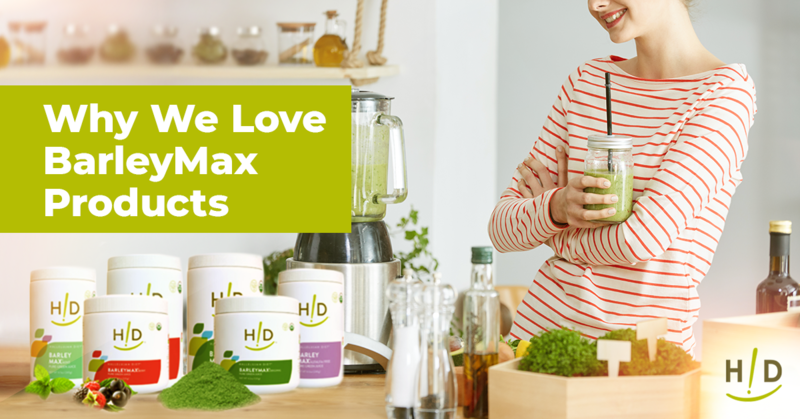 So, yes, there are those of us who have been on the Hallelujah diet for maaaaaany years who have developed sensitivities to the Lectins of taking green drinks and eating clean diets. But I credit your diet with making me a healthy eater who now eats fish, bison, grass fed beef and pastured chicken sparingly and without issues. In fact I have taken to making soup with bone broth which helps my digestion. Many nights that is my dinner. Hey Carol, thank you so much for taking the time to write this! I believe you have summed up very well what can happen, even when we think we are eating healthy! This past summer, the tomatoes tasted so good to me. I was eating one or two a day. My legs started aching, from my feet to hips! Very uncomfortable and I was alarmed and worried. I had heard that night shades can cause pain, so I quit the tomatoes. In about 1 day, practically every bit of the pain went away. I haven’t eaten tomatoes since. I hear what you’re saying. I haven’t read the book but it was recommended to me by an alternative doctor due to symptoms. The truth of the matter is that I am extremely sensitive to night vegetables. As much as u love them I just can’t have them because of extreme joint pain they cause. Is that because of lectins? I have a little trouble with beans and bloating as well.. is that because of lectins? Again I hear you, God’s foods are it for me as i a mvegan and gluten free .. but what about these side effects? I still find plenty of veggies that I can have and enjoy other than night shades. Carol Anderson makes a wonderful comment you may enjoy reading. I agree with the article if we start eliminating a lot of vegetables we can end up with deficiencies. I love to eat in season by buying from the farmers market first before shopping for food anywhere else. This enables me to support local farmers and get the most nutritious foods. It also helps me to get a variety of different foods in my diet and then have a break from foods that are not in season. I can see where it can be confusing since some lectins are toxic and some people have lectin intolerance. It is good to learn that some lectins are antimicrobial and provide support to the immune system. I’ve been vegan since 1989 when I almost died of cancer. I can’t eat gluten or nightshades. Recently found out that it is related to my blood type, A2 [no gluten] and Rh negative. I’m 77 and have no medications and no health problems. I do need to breathe deeply to get enough oxygen. I eat lentils, chichpeas, and black beans. I eat millet, amaranth, quinoa, and buckwheat. I eat a combination of Hallelujah Diet, Dr. Fuhrman, and Dr. Cousens. I love to sprout lentils and dehydrate them and then when I want to eat them I grind them up in my coffee grinder I soak millet and amaranth overnight, then dehydrate and grind them up in my coffee grinder. Millet and lentils have B17. Millet is a complete protein and has no lectins. It also has many polyphenols. Amaranth has scalene. Chickpeas and black beans also have B17. I also season with plenty of dulse flakes from the Atlantic, miso made from chickpeas, raw sauerkraut (HD recipe is wonderful), and turmeric. I have all the HD recipe books and took an HD 60 class. I have never taken HD supplements because I am very poor. And I try to avoid any processed foods. I take a liquid calcium, magnesium, vit. D. supplement every day. I grind up brown sesame seeds, flax seeds in my coffee grinder. I also eat chia seeds and almonds and walnuts. All seeds and nut should be raw. I also have Vibrance (Dr. David Klein) health books and publications. I also get HD emails and read everything. Thanks so very much for all you do!!!!!!!!!! Anne, Thanks for commenting. Your diet sounds very nutritious and you are reaping the benefits.